Some Christian-based formations vying for elections say their rise into political space is not only informed by lack morality and integrity in the political arena. Instead, it is an undying need to champion the fight against economic inequality as well as creating conducive environment for development. The CPM, ACDP and ATM believe that now is the time to introduce new ideas and solutions that will take the country to greater heights. The promise of a better life for all is the underlying message in the manifestos of the parties contesting the election, but some of these parties were born in the church and see themselves as an alternative voice to achieve this promise. Political Analyst, Dr Luyolo Dondolo, says that there is a long history between politics and religion. ATM Eastern Cape Campaign Spokesperson, Zama Ntshona says it’s time that religious institutions get involved. The new parties, like the CPM, also believe they will receive significant support. CPM leader Brian Lonwabo Mahlathi says that they will not be an opposition party. 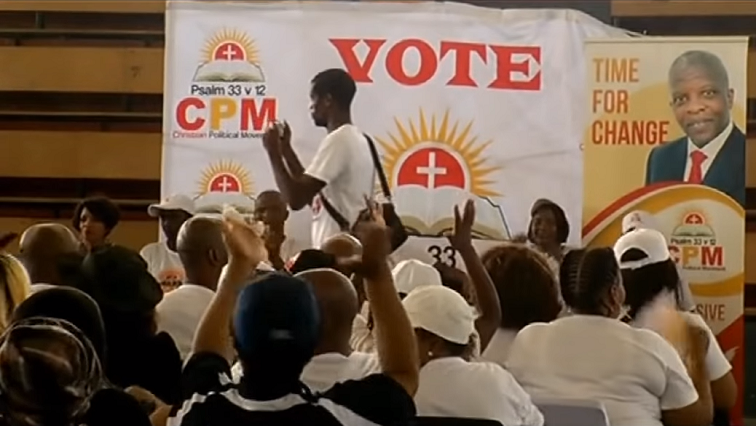 However, the increase in Christian faith-based parties is not well received by one of their own, The African Christian Democratic Party (ACDP). ACDP Provincial leader, Luke Quse, says that the formation of these parties is splitting the Christian vote. Is there a future for the newly-formed faith-based parties in the country’s political landscape? Dondolo says that most of the parties are competing among themselves and won’t survive. Some of the Christian formations have expressed willingness to work with like-minded parties after the elections. The post Christian-based parties vying for political space appeared first on SABC News – Breaking news, special reports, world, business, sport coverage of all South African current events. Africa's news leader..
Next Post Next post: Augusta National to host final round of women’s event, but is it a PR stunt?